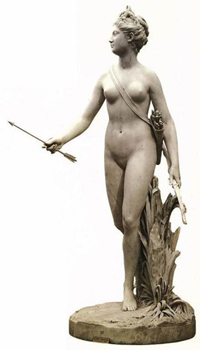 “The celestial character of Diana is reflected in Her connection with light, inaccessibility, virginity, and her preference for dwelling on high mountains and in sacred woods. Diana therefore reflects the heavenly world (diuum means sky or open air) in its sovereignty, supremacy, impassibility, and indifference towards such secular matters as the fates of mortals and states. At the same time, however, She is seen as active in ensuring the succession of kings and in the preservation of humankind through the protection of childbirth. The institution of the Rex Nemorensis where Diana’s sacerdos (priest) from within the Arician wood held the position till someone else challenged and killed him in a duel, but only after breaking a branch from a certain tree of the wood, [was deemed to be in Her honour and duty bound under Her aegis]. This ever open succession reveals the character and mission of the goddess as a guarantor of kingly status through successive generations. point to the fact that both Diana of the Aventine and Diana Nemorensis were the product of the direct or indirect influence of the cult of Artemis spread among the Greek towns of Campania Cuma and Capua, which in turn passed it over to the Etruscans and the Latins by the 6th and 5th centuries BC. According to legend, Orestes founded Nemi together with Iphigenia. Hesiod and Stesichorus tell the story according to which after her death Iphigenia was divinised under the name of Hecate, a fact supporting the assumption that Artemis Tauropolos had a real ancient alliance with the heroine, who was Her priestess in Taurid and Her human paragon. This religious complex is in turn supported by a triple statue of Artemis-Hecate depicted upon a coin minted by P. Accoleius Lariscolus in 43 BC acknowledged as representing the archaic statue of Diana Nemorensis. It represents Artemis with the bow at one extremity, Luna-Selene [whom She subsumed]with flowers at the other and a central deity not immediately identifiable, all united by a horizontal bar. Diana was worshipped at a festival on August 13, when King Servius Tullius, himself born a slave, dedicated her temple on the Aventine Hill in the mid-6th century BC. Being pl aced on the Aventine, and thus outside the pomerium meant that Diana’s cult essentially remained a foreign one, like that of Bacchus; she was never officially transferred to Rome as Juno was after the sack of Veii. It seems that Her cult originated in Aricia where Her priest, the Rex Nemorensis remained. The iconographical analysis allows the dating of this image to the 6th century at which time there are Etruscan models. Two heads found in the sanctuary and the Roman theatre at Nemi have a hollow at the back, lending support to this interpretation of an archaic Diana Trivia, in whom three different elements are associated. 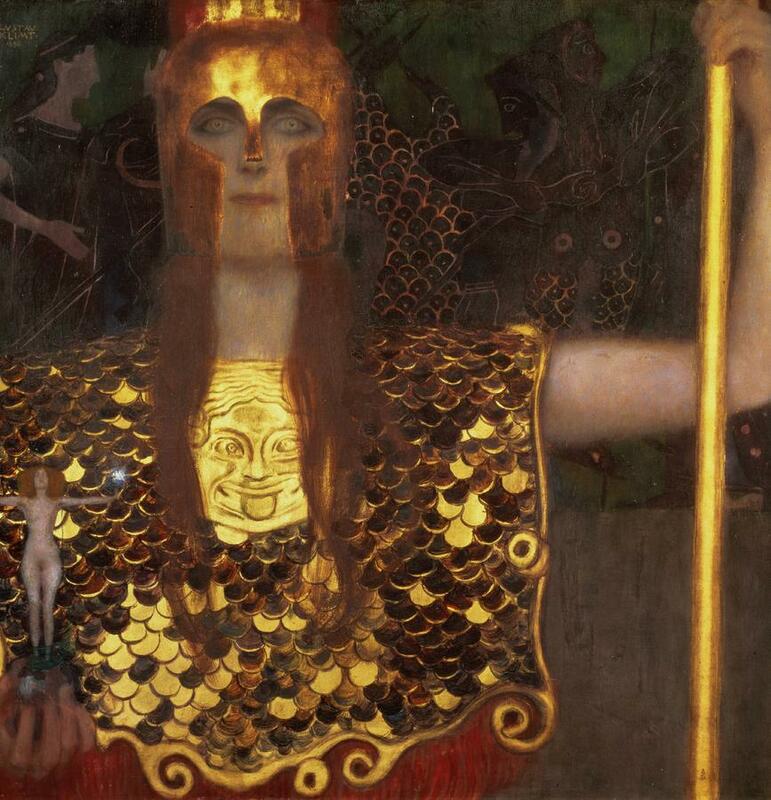 [Curiously,]the Scandinavian [deity, assumed as male, though given no gender in the Eddas and other literature] Heimdallr performs an analogous function being first born and last to die. This figure also gives origin to kingship and the first king, bestowing on him regal prerogatives. Diana, although a female deity, has exactly the same functions, of preserving mankind through childbirth and royal succession. ~ by meanderingsofthemuse on June 28, 2014.